A great summer favourite and an excuse to relax on the deck for a few hours while the meat cooks. I feel that if I put in the time to smoke for 10 hours I may as well smoke a lot of food for 10 hours. The night before, brine your pork in a solution of 1 cup salt to 1 gallon cold water. In the morning, liberally coat the pork with the rib rub after removing from the brine. Warm the barbeque or smoker to 300F and place soaked chips on your heat source. Add the meat to the cool side of the grill and leave it alone. 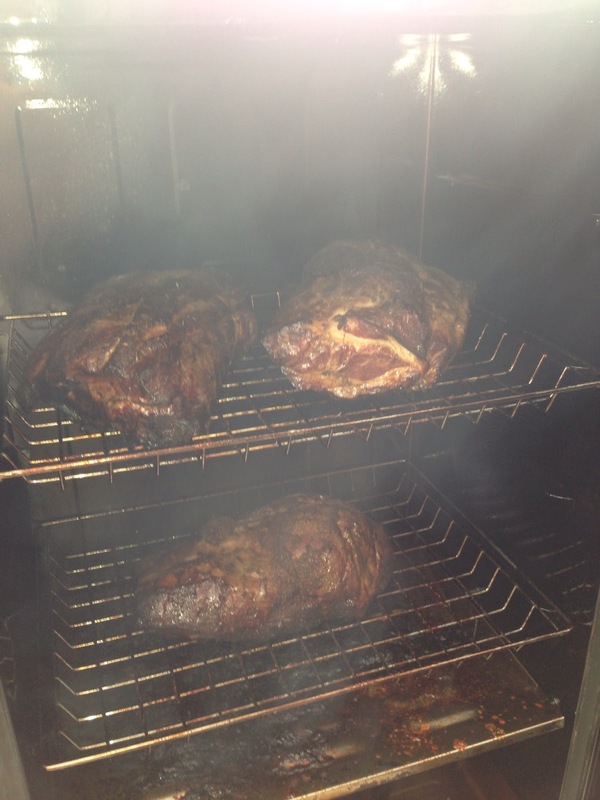 After an hour, replenish the wood chips and reduce the heat to about 250F (This will be the heat from here on out). I will normally smoke for the first 4-5 hours and then no more after that. (I don't think the meat absorbs anymore smoke flavour after this) If using charcoal add on 7-9 coals an hour to keep the heat constant. If the weather turns sour (as it did today) place in the oven at 250F for the remaining time after the initial smoking time. I let the shoulders cook for a minimum of 8 hours and up to 12 hours ideally. 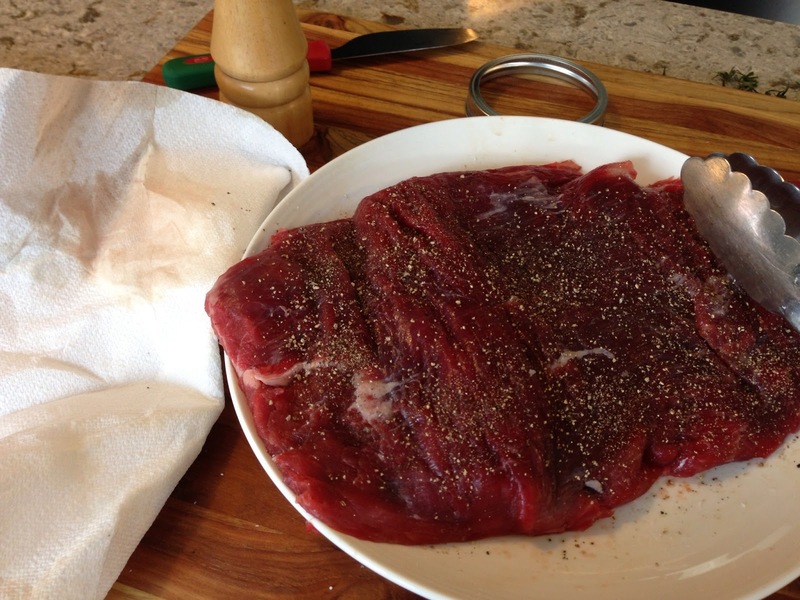 Remove from grill, cover with foil and let sit for 30 minutes to let the juices redistribute. 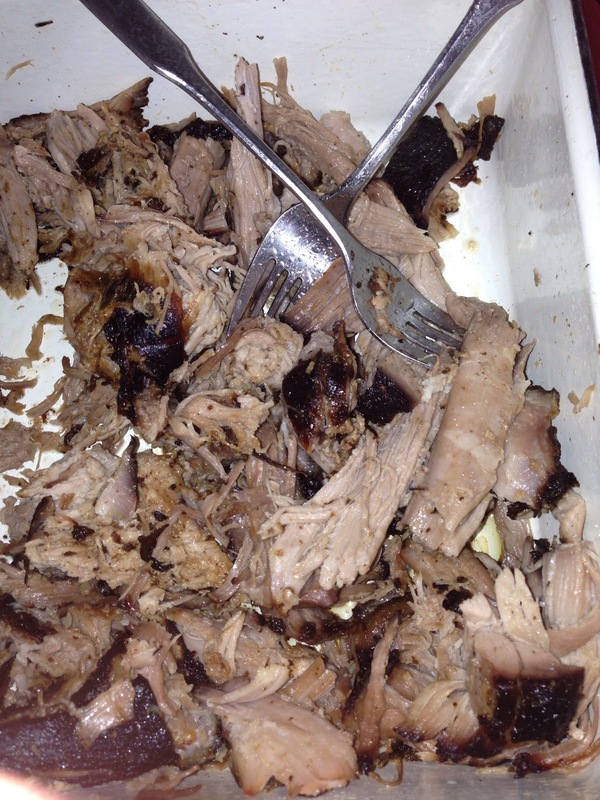 Shred the meat with your hands or two forks. Sprinkle on any remaining rib rub to the shredded pork. To salt or not to salt. Definitely do it, if you have at least an hour before you need to cook the steak. Salt it moderately with Kosher Salt, you want to make a brine with the liquid that comes out. 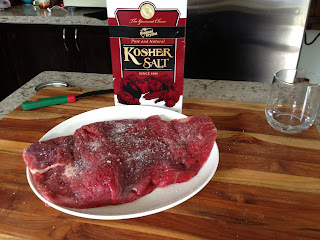 Yes, the salt does draw moisture out of the steak for the first half hour and will give very poor results if you cook it in this first 30 minute period. After this time though, the liquid from the steak and salt on the exterior from a very strong brine and will get reabsorbed into the meat through osmosis (Grade 11 Biology I think?) This occurs over the next 20 minutes or so until after an hour there is next to no liquid remaining on the surface of the meat. The salt has entered the meat. For a thin cut like flank steak you're ready to go. For a 2" cut, the longer you let it sit, the deeper will penetrate giving the best possible taste. The steak to the right has salted for 65 minutes. The paper towel absorbed almost no liquid. I dab the liquid from the top before cooking to get a good sear, otherwise the liquid turns to steam and you don't get that great crust. When ready to cook; remove from fridge and let come to room temperature, pat dry, season with salt, and cook. We all started out the day with a two egg omelette filled with a ton of shitake, oyster and cremini mushrooms. Local cantaloupe on the side. So sweet and delicious. 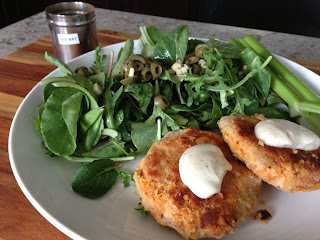 Lunch was leftover salmon cakes with mixed greens. 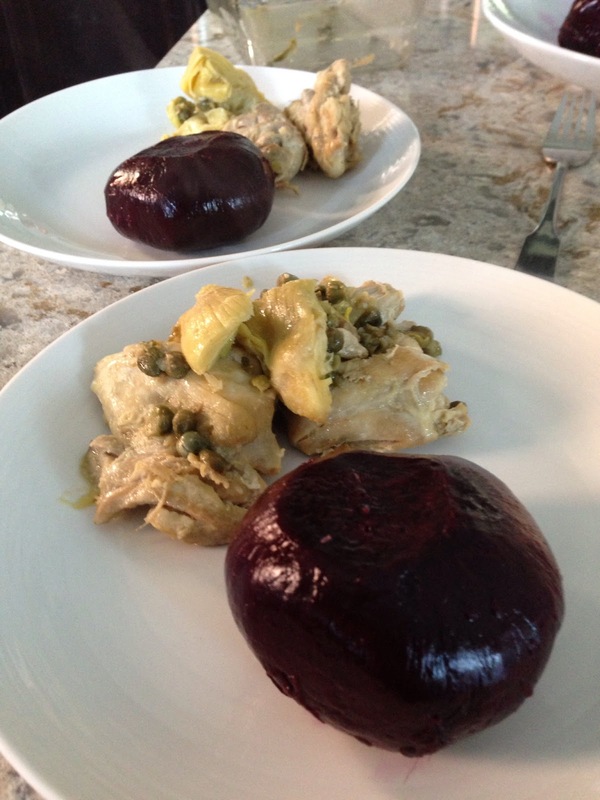 The greens were topped with a really delicious red wine vinaigrette that we make and some sliced green olives. 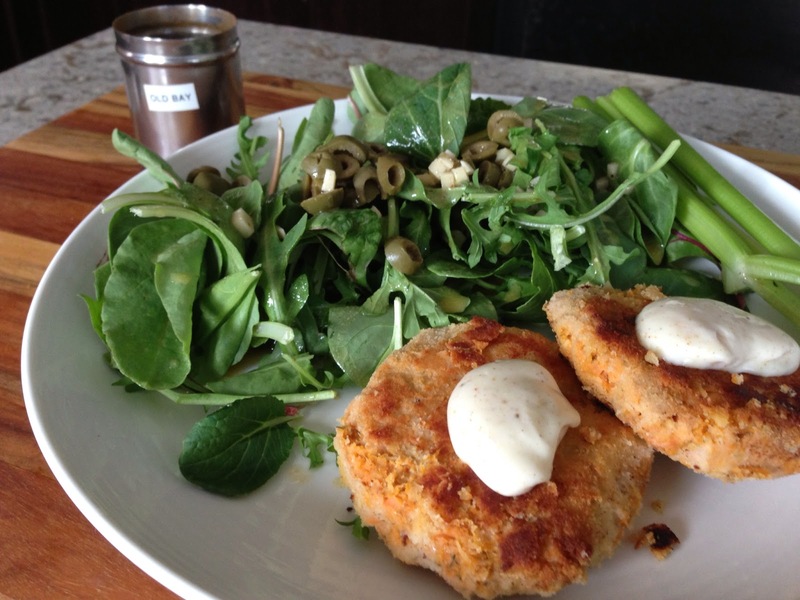 Chris topped the salmon burgers with bayonnaise. We also chowed down on some watermelon. Too delicious for photos! 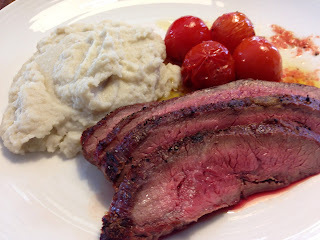 And for dinner, grilled flank steak with cumin-coriander mashed cauliflower and grilled tomatoes. Grilling the tomatoes really brings out the sweetness. A really lovely end to the weekend. I'm looking forward to hunkering down with a big cup of herbal tea and watching Dexter and Breaking Bad. 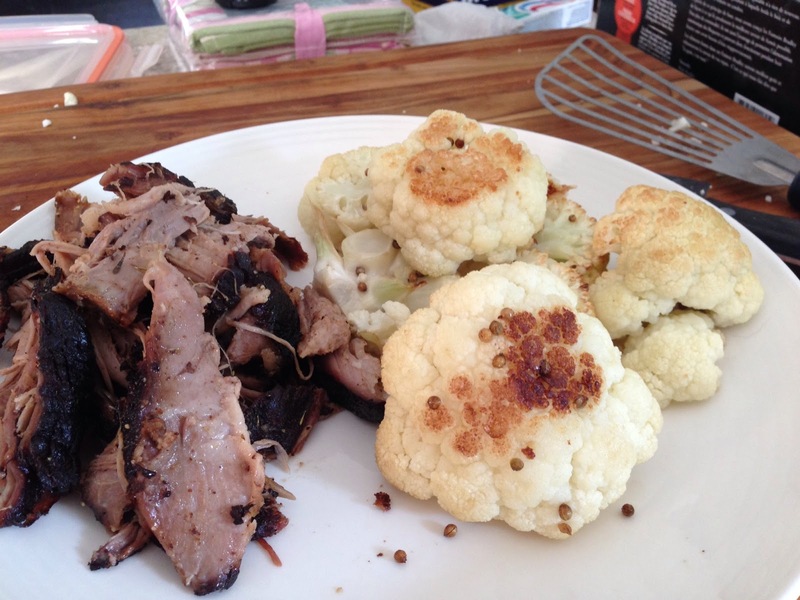 Paleo / Whole30 rib rub? This is one we use all the time in our house. This is used to season ribs, pork shoulders, chicken, and just about any type of meat other than beef. Let it sit for at least one hour to let the salt and other seasonings do their magic, or up to a day. Other additions could be very fine ground coffee, various ground chilis, or a few tablespoons of maple or coconut sugar for when you're not doing a Whole30 and want a dry rub. Tonight is the first night of another Whole30. My sixth, I think? The chocolate peanut butter ice cream I ate in Vegas almost killed me, so it's certainly time for another month of super-strict eating. 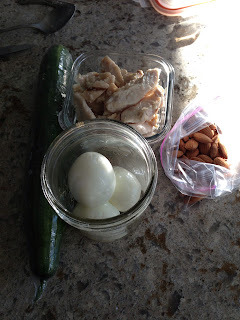 This is one of my tried and true meals. The sweet potato fries are actually kind of crispy; of course I say kind of because it's more of a crust that they get on them. But they taste like candy. Get in there with your hands and mix that up! Your hands will be an orange mess. It's okay. The payoff is worth it. I made seven burgers out of 2 pounds of beef. Grill them to your liking. Put your baking sheet in the oven and preheat to 450*. 3 lbs sweet potatoes (I used small ones and needed leftovers for hubs), washed and cut into wedges. 1. 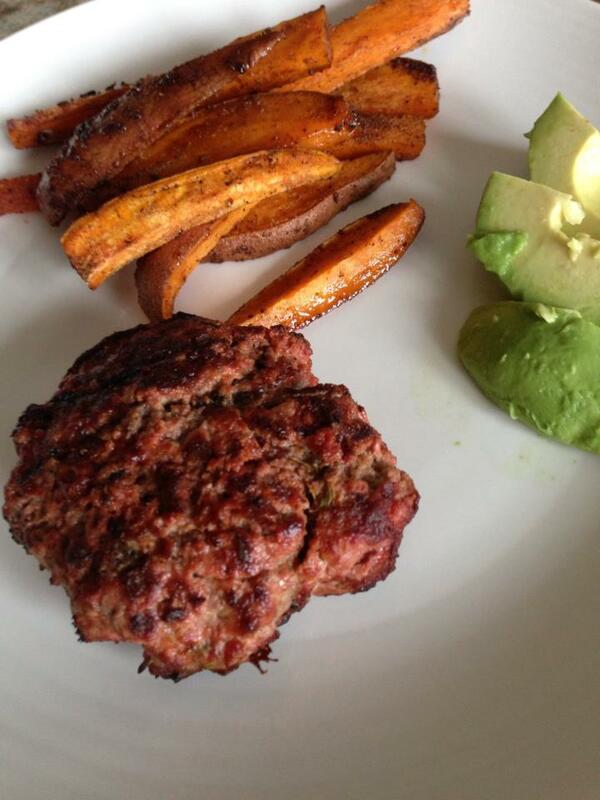 Toss melted coconut oil onto cut sweet potatoes. 2. Add spices and toss with your hands to make sure the potatoes are covered. 3. 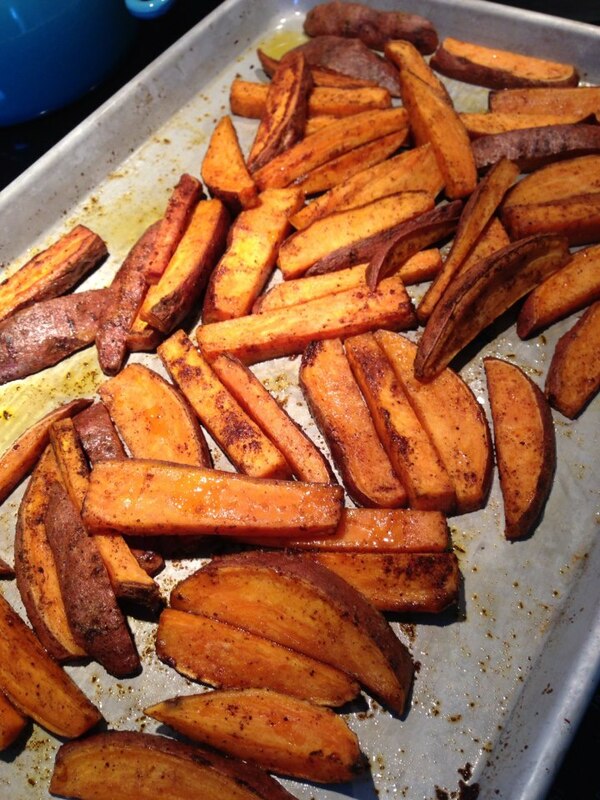 Put sweet potatoes onto pre-heated baking sheet and bake for approximately 25 minutes.